The first periodical produced solely for ASL (and Squad Leader). 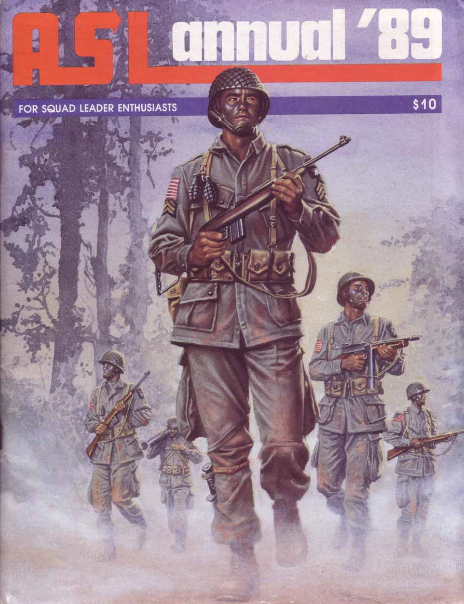 Published in 1989 by Avalon Hill, editor Rex Martin presents 12 ASL Scenarios, 4 Squad Leader scenarios and a number of tactical and historical articles to support the historical insights of the ASL game system. Includes a Topology of the available boards at the time, a chronology of war and a number of Deluxe scenarios also. Published: 1989 by Avalon Hill, this 64 page magazine was the first of its kind for ASL. It retailed for $10 and although now it can be tricky to find on ebay it commands very modest prices - the most recent one sold, went for just $6.50.